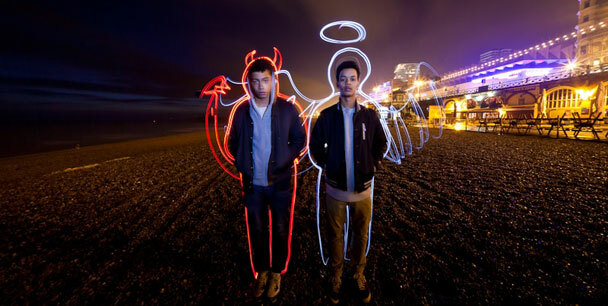 Brighton hip hop duo, Rizzle Kicks, are performing a one off show in aid of charity AudioActive. Jordan Stephens and Harley Alexander-Sule began their music career with help from AudioActive’s workshops and now they are returning the favour by playing the Brighton Dome on 27th March 2013. AudioActive established in 2004, they are a registered charity working to challenge disadvantage and enhance the development of children and young people by providing high quality creative and musical experiences throughout the South East. AudioActive create exciting projects and opportunities for young people that nurture their talent and teach valuable life skills and increase their independence as performers. Jordan and Harley are AudioActive’s first ever Patron’s and hope that this one off show will raise enough money to carry on supporting the charity. They were involved in various AudioActive projects between 2006 and 2013. Jordan and Harley have said that ‘AudioActive do amazing work. If it wasn’t for the experiences, skills and contacts we gained from AudioActive, we wouldn’t be where we are today. We’re both grateful and proud to be able to give back to this incredible organisation’. After selling out two Brighton Centres last December we expect this year to be no different so don’t wait to get your tickets, they are selling fast.